Living in New Hampshire, it’s easy to get tired of fireworks. They’ve been legal here for a long time. The Coop is in a “resort community” and we have fireworks every week during the summer. When I first moved here, I liked the idea of going to the store and picking up a box of explosives, even if I hardly ever did. Live free or die, that’s the state motto. Growing up in Maine, fireworks were reserved for the Fourth of July, festivals, and maybe county fairs. Not every town could afford to sponsor regular pyrotechnic displays. An added difficulty was my father’s work schedule. 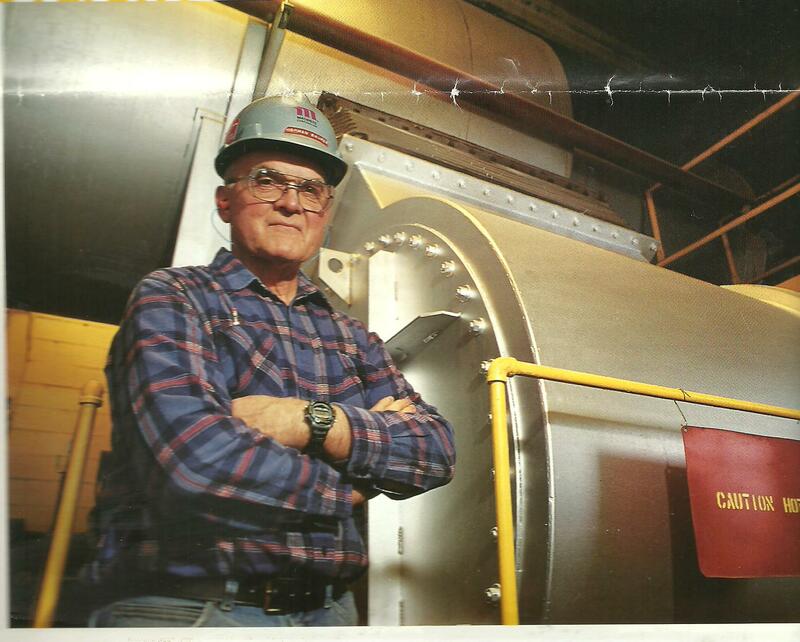 No stranger to the art of combustion, my father was a boiler operator in a paper mill. Big papermaking machines aren’t like cars; they don’t stop and start by turning a key. When they’re running, they’re running for a while and depending on the type of paper a company is making, they require energy to chop, beat, spin, and turn trees into paper. My father’s mill, the Pejepscot Paper Company, ran three shifts all the time and my father was the man who helped provide the fireworks. Because of the boiler’s criticality in the paper-making process, my father had to work a lot. It was profitable to work overtime; holidays might have paid double or triple time. My father understood the basic principles of economic independence and so would take advantage of his opportunities to work. Unfortunately, he often worked on the Fourth of July. I don’t recall going to more than one or two fireworks displays as a child. When we did go, my father never seemed awed by them. Maybe he was a little tired about the whole combustion process, since it was his job to play with fire night and day. This year, the Fourth of July is on a Wednesday. There is no way to create a three-day weekend on a Wednesday and driving home to Maine for the day would be a fool’s errand. I saw lots of fireworks last night anyway, while I was taking my full moon ocean walk. Today, I’m going to be a Baumer and work. I am free to do so. This entry was posted in Just Writing and tagged fireworks, Fourth of July, freedom, Pejepscot Paper Company, work. Bookmark the permalink.